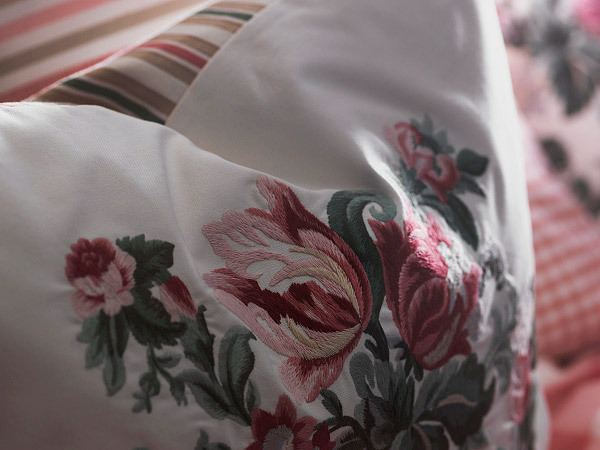 New decorating fabrics from IKEA bring traditional floral designs and colors, inspired by blooming English garden and 19th century prints. Blending new technology with classic floral designs creates gorgeous home fabrics for colorful and romantic spring decorating. New decorating fabrics with floral designs are cheerful and tender. 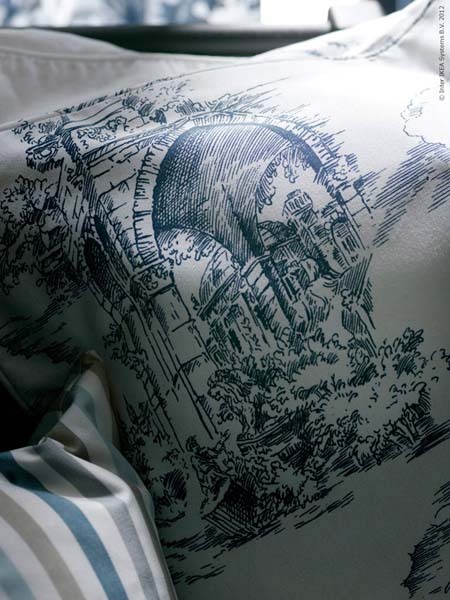 The elegant beauty of the 19th century English gardens is mixed with French chic, amazing Turkish crafts and modern Swedish design ideas, creating the new collection of fabrics for spring home decorating. The 19th century fabric prints, floral designs and stripes are perfect spring decorating ideas for any room in the house. The collection of new home fabrics from IKEA bring attractive linens, curtains, cushions and floor rugs to modern home interiors in spring. The museum of unique prints on decorative fabrics in the city of Mulhouse, France, has a collection of more than six million various home decorating items. Designers from IKEA found the original 19th century floral designed and classy striped patterns there and them them as inspirations. 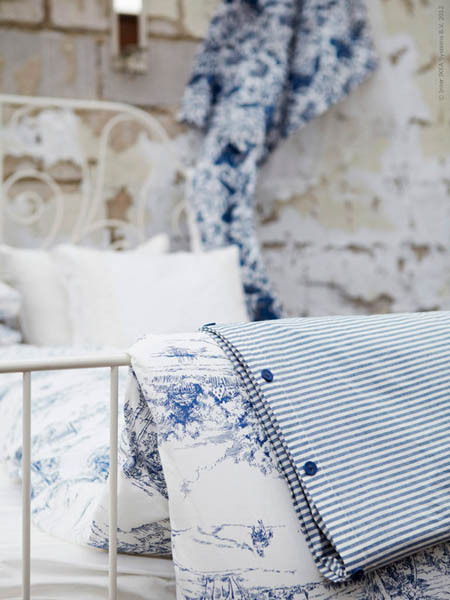 Linens, curtains, cushions and floor rugs with floral designs and stripes patterns add French chic to English garden colors, creating the new textile and decorating fabrics collection for spring, – the Swedish designers explain. Designers got inspired by details of traced drawings and delicate floral designs, that are excellent for adding light, romantic mood to colorful spring decorating. Designers worked at and examined hundreds of decorating fabrics in the nuseum, selecting few flora designs and striped patterns for creating modern fabric prints and gorgeous textiles for fresh spring decorating. Using new technology, the designers reinvented the decorating fabric patterns of the 19th century, offering the new amazing collection of linens, curtains, cushions and floor rugs for modern home interiors and spring decorating. Working with experts and color specialists, Swedish designers recreated floral fabric prints using right color palette. 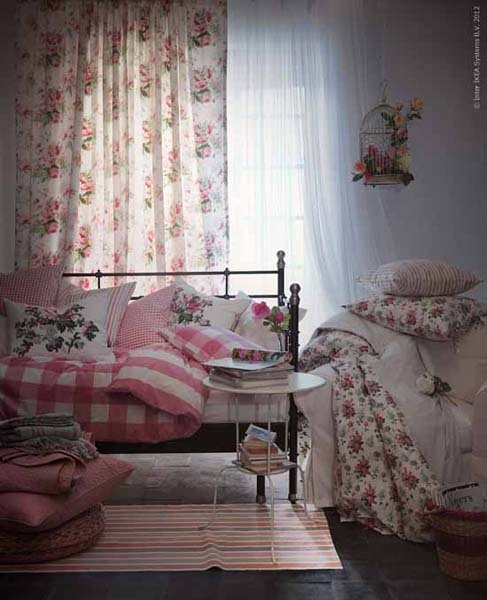 The new spring decorating collection of home fabrics and textiles is the result of their hard work. Every detail has been considered and taken care of while developing beautiful, romantic collection of romantic linens, curtains, cushions and floor rugs for charming spring home decorating. Old traditional floral designs were transformed into modern decorating fabric prints and textile patterns, that adorn linens, curtains, cushions and floor rugs. Geometric patterns, striped and floral designs, blended with delicate color palette make modern home accessories, made of linen, cotton, polyester, nylon, wool and lyocell (rayon) look unique and expensive. Pleasant and soft home fabrics and textiles, inspired by spring decorating theme, are excellent for modern interior decorating and home staging. 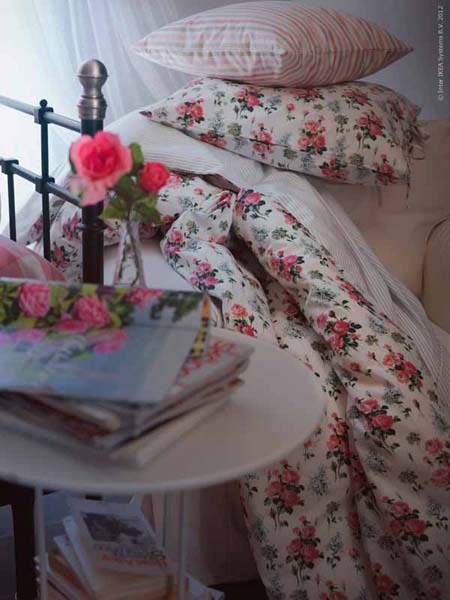 The 19th century fabric prints, floral designs and striped decoration patterns add luxurious chic and elegance to bedding sheets, pillows, duvet covers, blankets, linens, curtains, cushions and floor rugs, and create light and optimistic mood perfect for spring decorating.